If you’ve a VR-ready machine and a penchant for jump scares in dark corridors, you’ll be happy to know that a virtual reality version of 2004’s Doom 3 is one short download away. Wondering which games to buy for your expensive new headset? Check out the best VR games on PC. 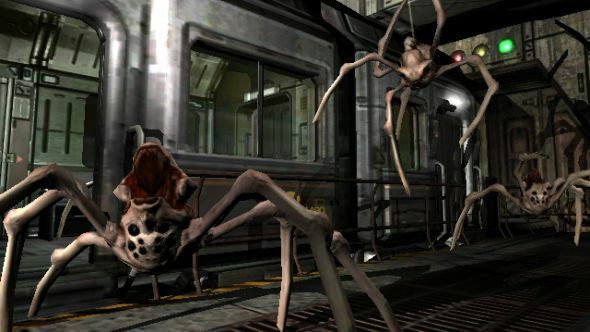 This is something of a surprise since Doom 3 is an old, conventional FPS and the VR version doesn’t use teleportation for movement – an increasingly common solution to simulator sickness in first-person VR design. Reactions do vary from person to person so take care if you’ve felt nauseous in VR before. Doom 3 was the last title in id Software’s seminal shooter series to be developed with the involvement of company co-founder John Carmack. Carmack has had a noted interest in virtual reality and 3D for many years now, and indeed demoed a version of Doom 3 for Oculus Rift back in 2012, so perhaps the modders have just unlocked existing functionality. In 2013, Carmack left id for Oculus to work on VR full-time. The mod is available to download nowcourtesy of AerowynX and Codes4Fun on GitHub, so many thanks to them. You’ll need the Doom 3 BFG Edition to play, which you can grab from Steam for £14.99 ($19.99 US). Bethesda, publishers of this year’s successful Doom reboot, said at E3 this year that both Fallout 4 and Doom 2016 will also be coming to VR, though Fallout 4 seems to be their priority, with a release due by June next year. It’s a piece of industry received wisdom that VR has yet to find a “killer app” that will make the platform truly indispensible. Will Doom 3 convince you to splash out on a Rift or a Vive?